On 31 March, Serco Group plc (Serco) signed a two-year contract extension with the Roads and Transport Authority (RTA) to continue operating and maintaining the Dubai Metro until September 2021. The contract extension includes the operation and maintenance of the Red Line extension which is under construction. The total value of the fixed base fee for the contract extension is around AED680m (equivalent to approximately €164m). The test run of the Red Line expanded service is expected to start in February 2020, with a view to be ready for full operation ahead of Expo 2020 which begins in October. The extension will add 15km and connect seven stations. 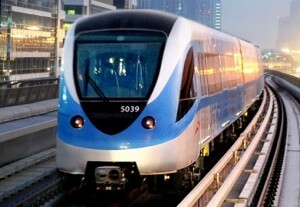 At that point, the Dubai Metro will have a total network length of 90km and over 120 trains running at peak hours. Serco first began operating and maintaining the initial ten stations on the Red Line from the official opening of the Dubai Metro in 2009. Expansion of the Metro has seen the Red Line grow to 29 stations, while the Green Line, opened in 2011, added an additional 20 stations.